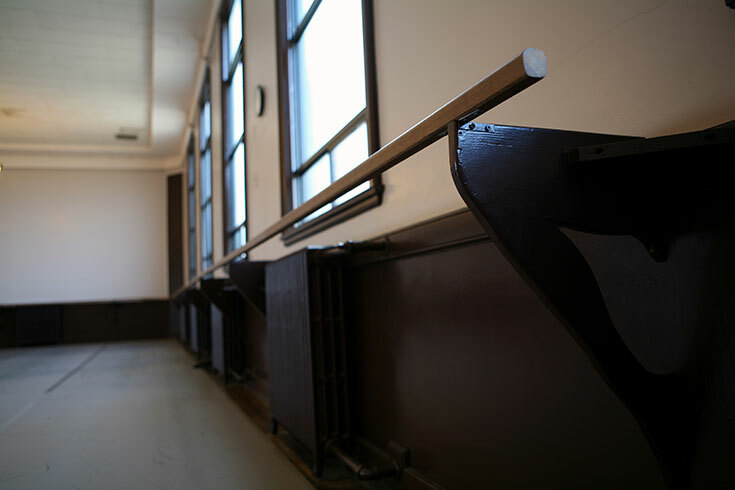 The dance studio space was designed and built by Vancouver architects McCarter & Nairne in 1934 as a lodge and dance hall for the Fraternal Order of Eagles. It is Nanaimo’s earliest and most striking example of Art Deco style architecture. The exterior features stylized geometric ornamentation rendered in cast concrete and remains in substantially original condition. Much of the interior is also intact, including the Art Deco light fixtures, the staircase, balustrade, dance halls and the original sprung wooden dance floors. Several of our dance parents and grandparents remember attending social functions in the hall as children. As time wore on the Eagles slowly moved out of the building and the dance world moved in. 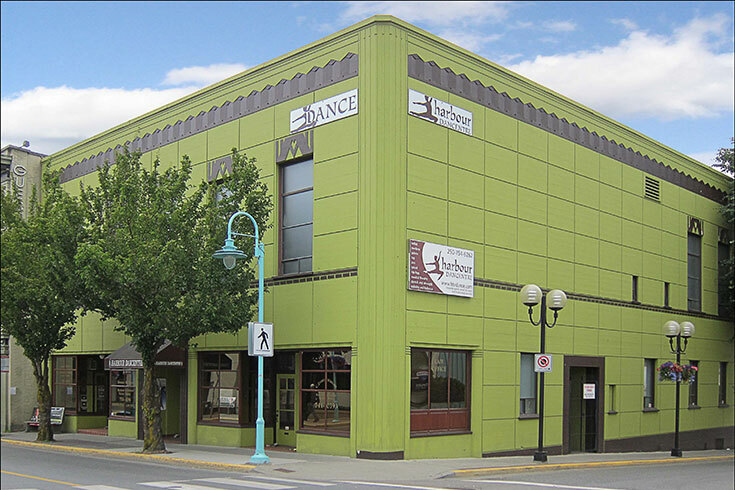 In 1990 Harbour Dance Studios began as Beat Street Danceworks on the upper level of the building using Studios A and B. Six years later the studio changed ownership, becoming Harbour Dancentre and opened up Studio C shortly thereafter. In 2006 the studio was bought by Stacey and Carl Butterworth and along came Studio D and many new programs. In 2017 Harbour Dancentre Inc. became Harbour Dance Studios Inc. to help better differentiate us from Harbour Dance Centre in Vancouver. The studio has four dance floors ranging from our grand ballroom (Studio B) to our newest fully sprung hip-hop space (Studio D). Studio A is a multi use studio and Studio C is our tap and percussive dance studio, and doubles during the day as the classroom for our full day dance / academic academy. Our senior students (ages 11 and up) enjoy a huge dressing room with integrated study space. Our junior students have their own change room adjoining our lobby and Studios C and D have their own change rooms and washrooms. Three of our four studios have sprung floors and all have various types of marley dance floors on top.